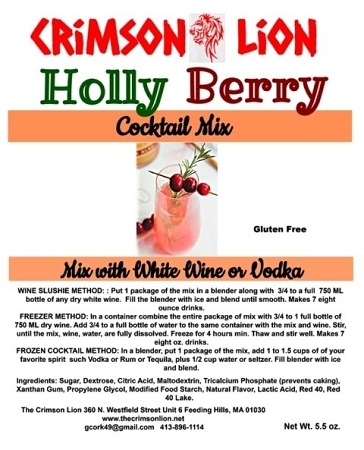 Holly Berry Cocktail Mix is brand new. and blend until smooth. Make (7) eight oz. drinks. Options: In a half gallon pitcher combine the mix with 1 quart or liter of sparkling soda water, stir to dissolve. cut up fruit and straw. For a delicious adult refreshment, add Vodka to taste.